SYSTEM GOES OUT WITH A HANDHELD 6" GRINDER AND VIRTUALLY DUSTLESS VAC. 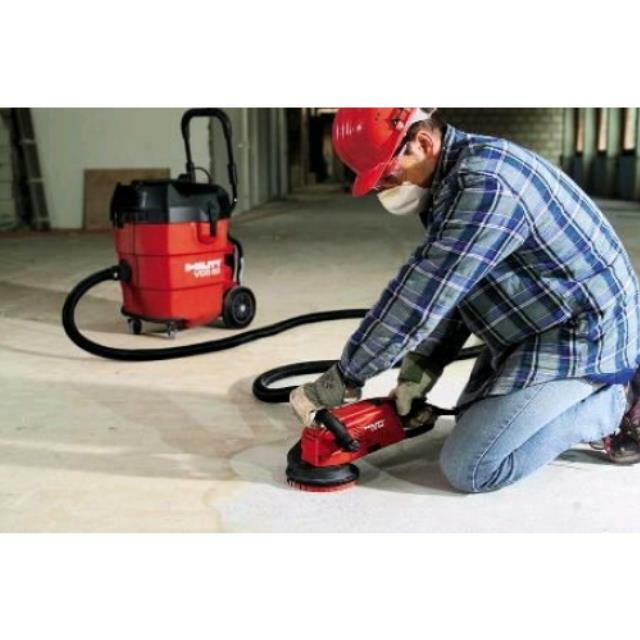 CAN SURFACE GRIND CONCRETE, MORTAR, AND TILES. CAN REMOVE PAINT, ADHESIVES, AND OTHER COATINGS FROM CONCRETE.